It's hard to believe that today is 1 year since the last day of Liam's radiation treatments. How different life is a year later. This morning, we attended a performance that Liam was in at school with his Kindergarten class! Last year in January, we almost had no activities besides Liam's 15 minute daily radiation appointment and were very housebound. Now Liam is in Kindergarten, he has soccer, yoga (Kids Cancer Care) and PEER (Pediatric cancer survivors Engaging in Exercise for Recovery with Kids Cancer Care). This is the video of Liam 1 year ago after his last treatment, when he rang the bell. It speaks to how great the people at Tom Baker Cancer Centre were to us, Liam has no negative memories of radiation at all. Troy and I cringe when he gets ahold of his radiation mask and wants to play with it. How Liam got bolted to the table with that on his head every day for 6 weeks without anesthetic, without freaking out, I will never understand. 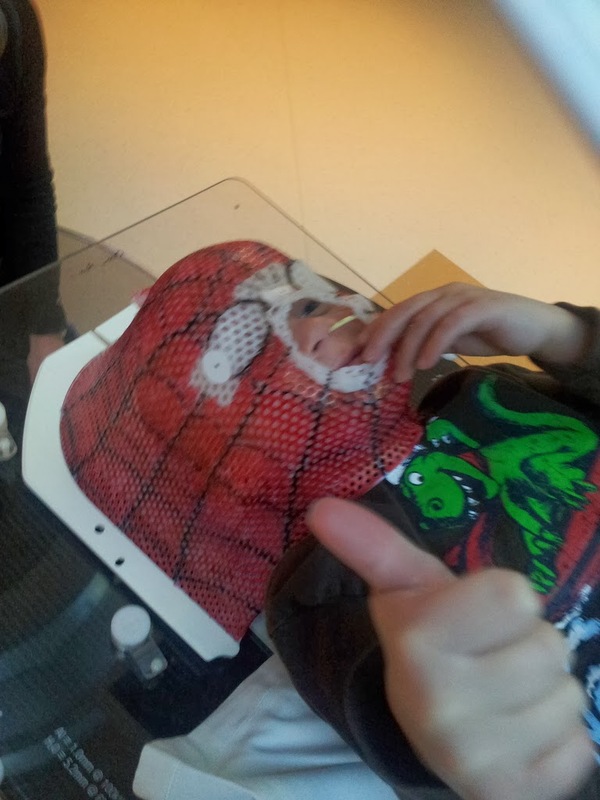 At school, in addition to help with printing and speech, Liam is also now getting physiotherapy. He's come SO far physically. Last weekend, both Liam and Madison climbed a climbing wall at the park for the first time. I suspect when Liam saw Madison do it, he had to as well. Madison pretty much did it the first time, it may have taken Liam 10 times to master it, but he did it. Happy boy, 5 1/2 years old! I just realized that Liam is wearing the same shirt as in the video!